From American classics to multicultural eateries, award-winning chefs, and creative restaurants, you will find exactly what you’re craving in Salt Lake City. For more information on Salt Lake City dining, please call our Concierge at (801) 258-6703. Finding things to do in Salt Lake City after the sun goes down is easier than ever these days. The city now offers an assortment of nightclubs and bars with delicious dining. For more information on Salt Lake City nightlife, call our Concierge at (801) 258-6703. Visitors will find a wide variety of interesting things to do in Salt Lake City, an ideal destination for all ages with various artistic exhibits, performance centers, and family-friendly activities. For more information on Salt Lake City attractions, please call our Concierge at (801) 258-6703. From the towering snow-capped peaks of the Wasatch Mountains to the red rock desert spires of Moab, you are less than an hour’s drive from fantastic skiing, snowmobiling, biking, hiking, golfing, rock climbing, fishing, and more—it’s all waiting for you in Utah’s great outdoors. 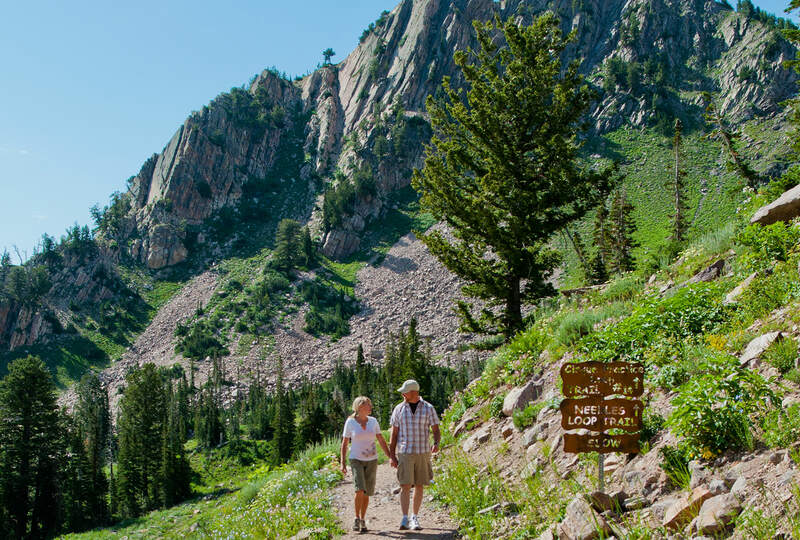 For more information on Salt Lake City outdoor recreation, please call our Concierge at (801) 258-6703. Guests of The Grand America are in the perfect location to take advantage of everything the city has to offer. Excellent shopping is available within minutes of the hotel and easily accessible on foot or by car or Trax train. The city’s selection of specialty retailers, art galleries, and malls gives visitors yet another exciting choice of things to do in Salt Lake City. Season extended! Snowbasin Resort has extended the 2018-19 season to Sunday, April 21st. From the traditional Afternoon Tea, live jazz, and vibrant cocktails in the Lobby Lounge, to the delectable breakfast buffet at the Garden Cafe, we offer fun events for the whole family to enjoy! The Grand America has priceless artifacts from all over the world scattered throughout the corridors and lounges. The Art Tour provides guests with the details and history of each unique antique.